Journey back in time with the Prehistoric Thinlits Die Set. 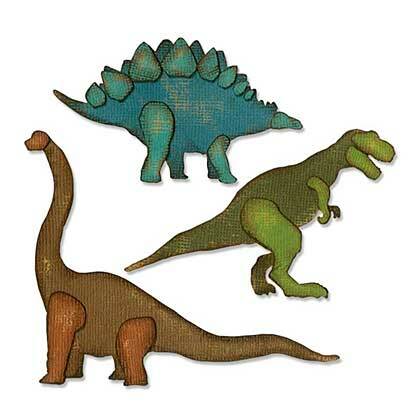 There are three realistic dinosaurs in this set: tyrannosaurus, brachiosaurus and stegosaurus. Each design includes a variety of layering pieces for adding depth and detail. Fun for boys and girls of all ages! Package includes: 3 wafer thin dies that range in dimensions from 0.15" x 0.15" to 4.25" x 3.375".